Heat oven to 350°F. In large bowl, combine meatloaf mix, bread crumbs and egg; mix well. In medium bowl, combine all remaining ingredients; mix well. Add 3/4 cup of the salsa mixture to meat mixture; mix well. 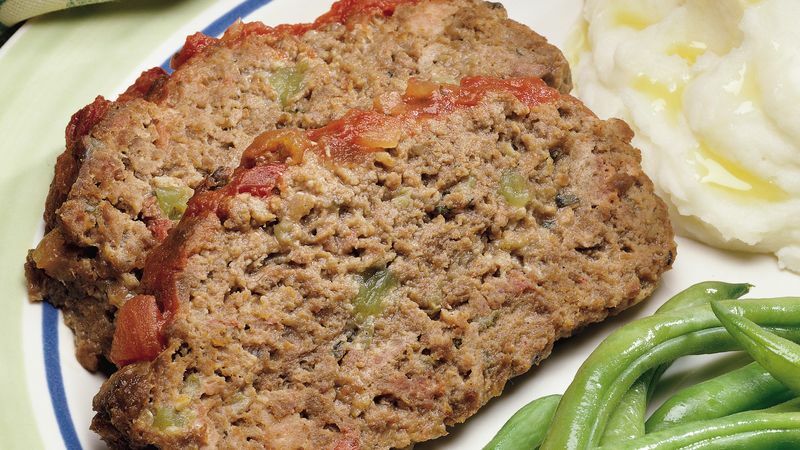 In ungreased 1 1/2 or 2-quart casserole or 9x5-inch loaf pan, shape meat mixture into loaf. Bake at 350°F. for 50 minutes. Remove from oven. Spoon remaining salsa mixture over top of loaf. Return to oven; bake an additional 20 to 30 minutes or until thoroughly cooked in center and meat thermometer registers 160°F.